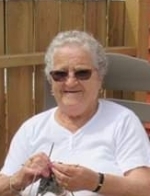 It is with great sadness that the family of the late Sarah Selina Snook announces her sudden passing at the James Paton Hospital in Gander on Wednesday, December 12, 2018, age 82 years, of Wreck Cove, formerly of Boxey. She leaves to mourn her loving family: son, Roy Blagdon (Natalie) at Seal Cove; daughters, Carol Lawrence (Earl) at Wreck Cove and Cathy Bullen (Doug) at Boxey; brothers, Onslow Blagdon (Bessie) at Greenwood, NS and Frederick Blagdon (Nora) at Grand Bank; grandchildren, Joseph Blagdon (Mary), Craig Blagdon (Nancy), Nancy Dawe (Mike), Tracy Clarke (Blair), Stephanie Hepditch (Jeremy), Matthew Sheppard, Victoria Blagdon (Peter), Jason Lawrence (Deanne), Anthony Bullen (Ashley) and Andrew Bullen (Christina); twenty great grandchildren and two great great grandchildren; as well as a large circle of relatives and friends. Predeceased by her first husband, Frank Blagdon; her second husband, George S. Snook; daughter, Cora Sheppard; parents, Sarah and Onslow Blagdon; sisters, Winnie Price and Rita Mayo; brothers, Roland Blagdon and Oscar Blagdon. 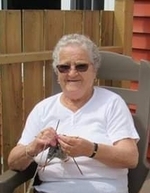 Funeral Service was held on Sunday, December 16, 2018 at 2:00 pm from St. John The Evangelist Anglican Church at Boxey with Rev. Bruce Vallis officiating. Interment followed at the Anglican Cemetery, Boxey.